In March I shared my decade-long dream of growing food. 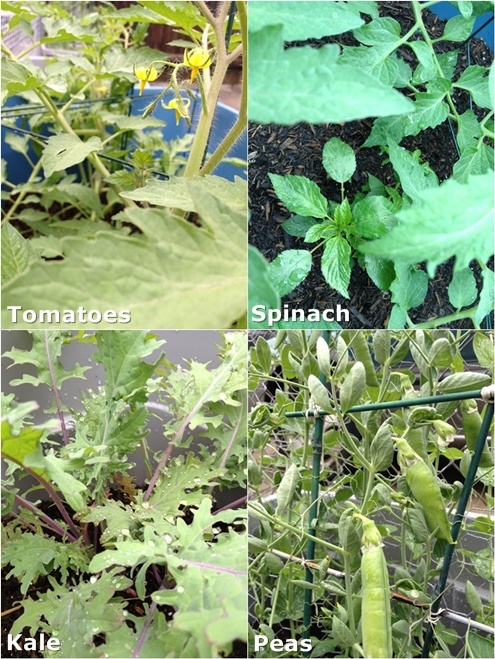 Today I am happy to share pictures of what's growing in my container garden. Isn't it awesome? Those shelling peas are just about to pop off the stalk. We're having some for dinner tonight! Don't wait for the "perfect time" or to "know more" about gardening. Get some seeds and plant them now. Everything will be alright. And if it's not, seeds aren't expensive so you can always try again without much financial loss. Don't let your fear of killing plants stop you either. As far as I know, it's not illegal. Growing plants is a great way to learn about and appreciate them. Planning a garden is not nearly as interesting which is why you should just jump in. Once you plant your first seed or sprout a seedling, the Universe/ God/ whatever will start attracting more seasoned gardeners and other awesome resources to you. A net of support and garden love will spring up like magic after you take that leap of faith. You really don't need to water outdoor plants as much as you think.